Have you read any young adult novels by award winning and multiple children’s book author, Naima B Robert? She is also the founding editor of the UK-based Muslim woman SISTERS magazine and Discover is another one of her babies. The magazine is created for curious Muslim kids. Each monthly issue features stories, information, games, puzzles, art and science projects, experiments and crafts with an Islamic theme. 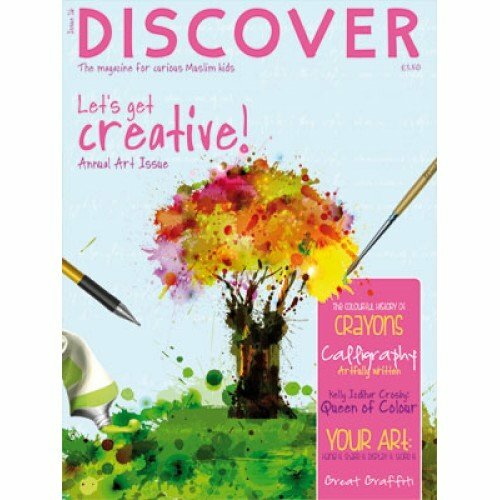 DISCOVER is based on a cast of 4 main characters with a wide range of interests – Muhammad, A’isha, Nusaybah and Khalid – and it is through these characters that the readers are introduced to the information, activities and projects. What I especially liked about the magazine is the layout. Often magazines are very busy, which sometimes makes it a little overwhelming! Discover Kids has a clear layout with plenty of useful information packed in its articles, and bright and appealing graphics.